Baynes Sound is a stretch of water between Denman Island and Vancouver Island. The sound is a narrow western off-shoot of the Georgia Strait that separates Vancouver Island from the mainland of British Columbia. Baynes Sound offers sheltered, nutrient rich water and is world renowned for producing amazing, delicious oysters. Ron is proud to grow oysters in his prime tenure location in Deep Bay, where there is minimal development on the protected land surrounding his farms. 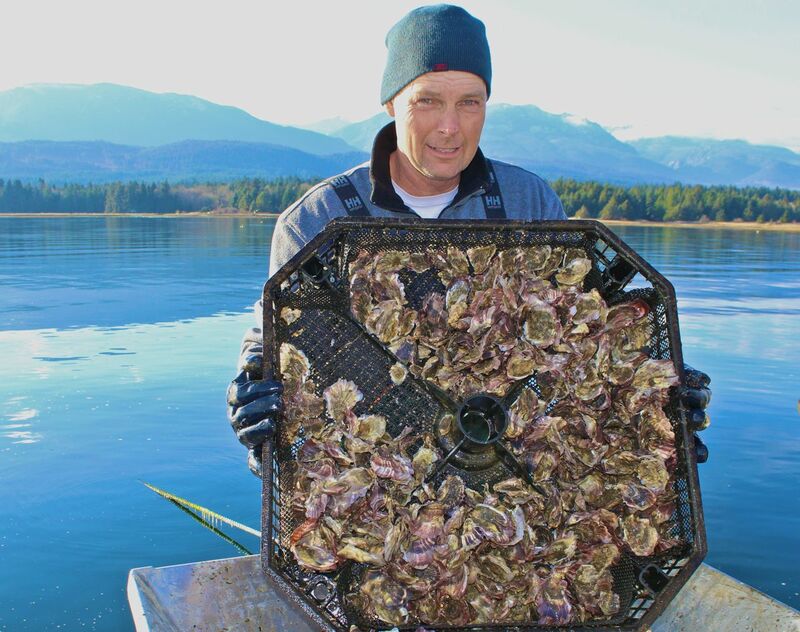 Through years of practice and innovation, he has implemented many techniques and tools on his farm that aid in his ability to produce a consistent, reliable and steady supply of delicious oysters grown in paradise. Paradise Oyster’s farm is comprised of 6 ‘rafts’, each holding 216 stacks of trays. This small farm is able to produce more than 150,000 dozen oysters per year. Spring is the optimum time to purchase seed and begin production, with June to September being the highest growth rate for oysters. Paradise Oysters holds up to 8 million of the tiny oyster seeds in a nursery system, called a ‘Flupsy’ (FLoating UPwelling SYstem) through the winter and is well prepared for the following summer.